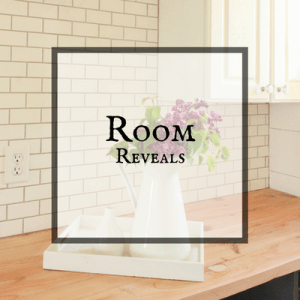 You are here: Home / DIY / Decorate with Thrift Store Books! 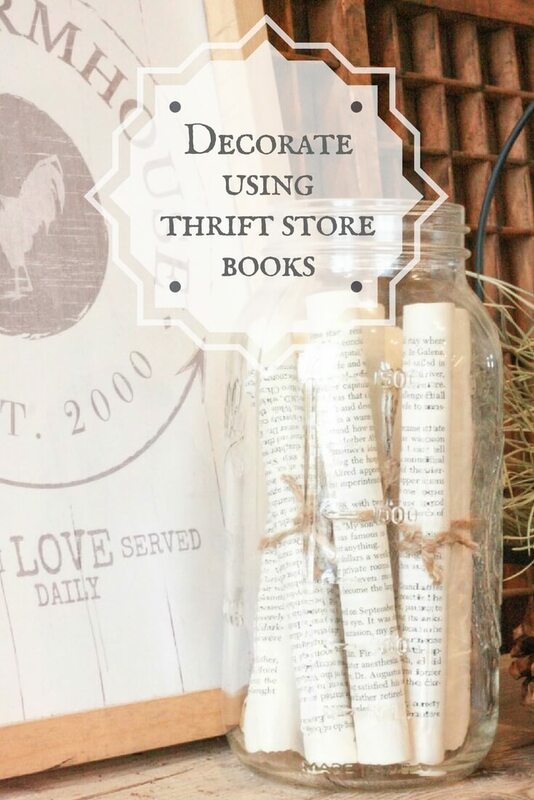 Decorate with Thrift Store Books! 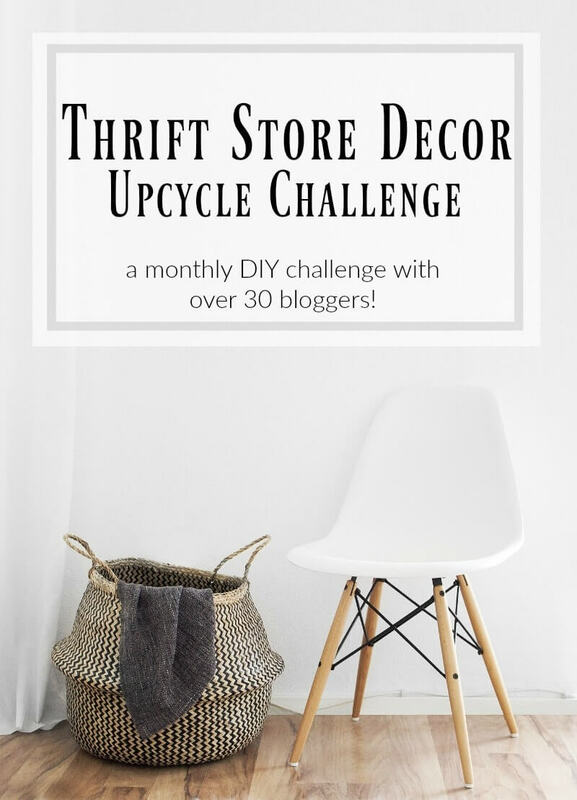 Get ready for some cool thrift store upcycle ideas! Today I am showing you one of my favorite ways to decorate with thrift store books. Do you ever see those piles of old books at thrift stores and wonder what the heck you could do with them? I love to buy books at thrift stores. I love to use them as decorative items in my home. 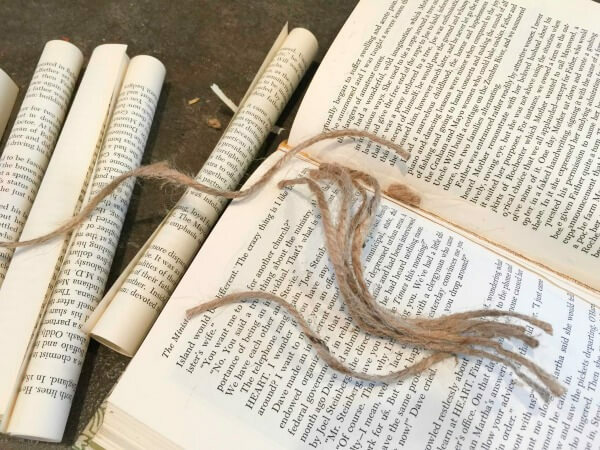 And you can use the book pages to create awesome home decor pieces. I am going to show you how to decorate with thrift store books. Keep in mind, I am not going to tear book pages out of a book that holds value or is highly sought after. I think by taking an old book that otherwise would have ended up in a dumpster, I am giving it a new life. For this project I created some simple book page paper rolls. I cut the pages out of the book and rolled them up. I added a small dab of hot glue to the paper to hold in in place. 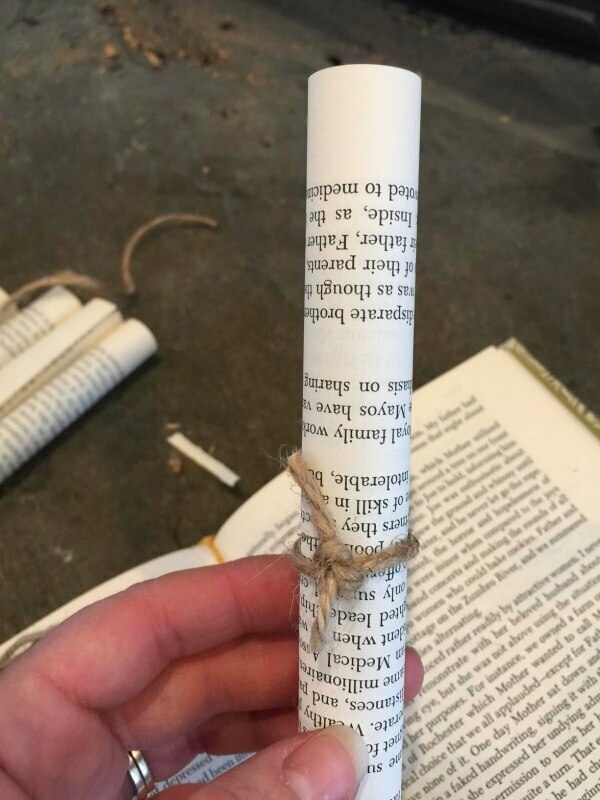 I then tied a piece of twine around the book page roll. I ended up adding them to a large mason jar I had also found at a thrift store. 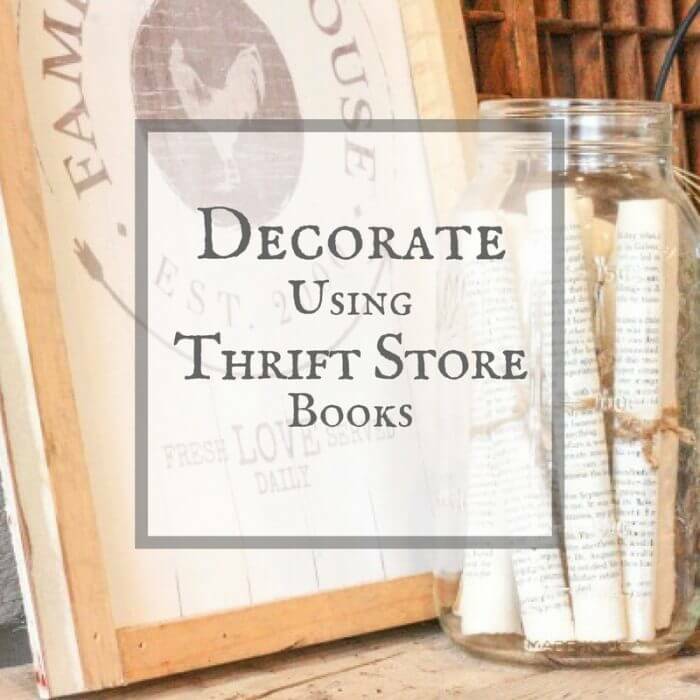 I love to decorate with thrift store books and this is an easy way to add some unique farmhouse decor to your home for literally almost nothing. 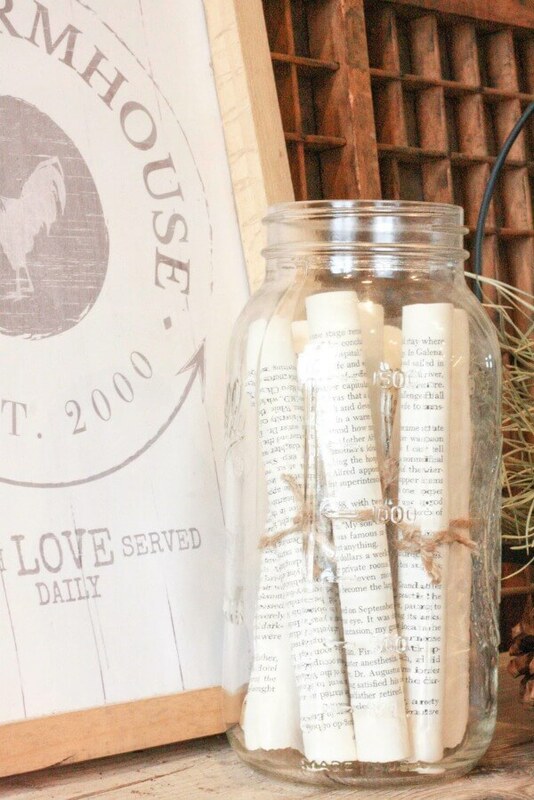 Don’t the book page rolls look pretty inside the mason jar? I think I may make some more to use in other places in my home. I’ve said it before, I will say it again. Thrift store upcycle projects do not have to me dramatic, completely life altering projects. They can be simple, and easy, and quick. 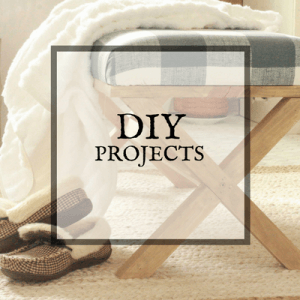 I love working on easy projects that add a lot of impact for a small amount of effort. Decorating with thrift store books is definitely a great way to do that. Oh thats a great idea! I will have to make more and put them in my dough bowl! Thanks for the tip! This looks beautiful! I agree that it makes great use of something that would have been discarded. I love the look. Thanks Sherry, I find these simple projects to be so fun. I’m all about keeping things simple, so this is my kind of project. I agree that not everything has to be complicated to make a statement in home decor. Sara, this is so my kind of simple project that is super unique! I have so many glass jars laying around, empty, and now I want to fill them with these! So cute! 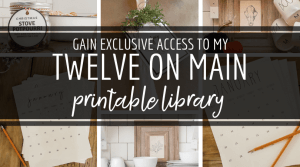 I am all about simple DIYs! Granted I always get myself caught up in massive ones too, but the small, simple ones are the best! I’m always hoarding old books mostly for their covers, but I love the idea of using the pages to add to my decor too. Yes! The old book covers are the best! Yes! That was what I was thinking! I needed to use some of the million jars I have stored away. 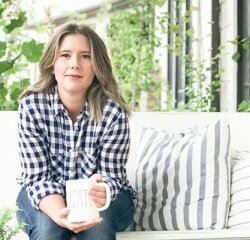 I love the simplicity, but you’re right, it adds a nice farmhouse style touch! I’ve seen this before but never remember to make a few. 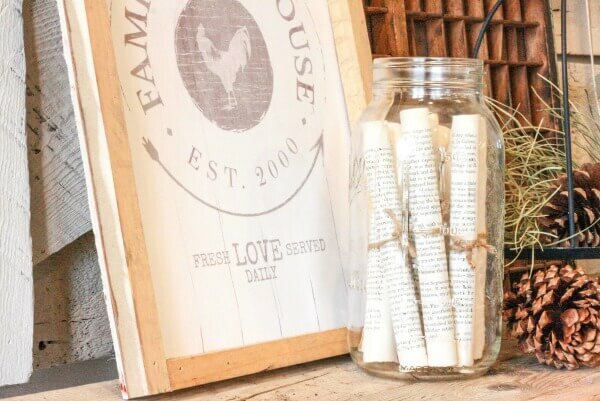 I have all kinds of old books laying around and this is such as easy project to get that farmhouse look. Love it! I love anything made with book pages. This is so cute! What a cute and unique yet vintage idea. Love it Sara! Such a wonderful and unique idea! I love using old book pages in my décor….I have several projects on my blog too. Thanks for the inspiration. 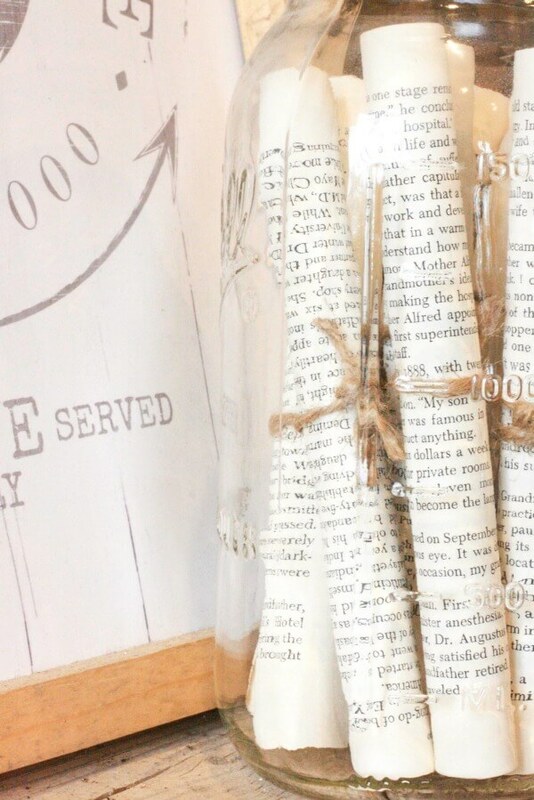 I love decorating with book pages and they are so pretty in glass! So creative, I love the twine you wrapped around them. They are lovely in the jar and would look good anywhere in your home! What a cute idea for using book pages. There are sooooo many different options for book pages. Always a good idea to have a few good vintage books laying around just for this reason. This is a wonderful and easy project. I have so many old books lying around and want to add some of the pages in apothecary jars. Thank you for the inspiration. Books add such charm and interest, what a great idea. What a great and pretty idea! Simple and sustainable. That Farmhouse printable its beautiful. Where can I get one like this?